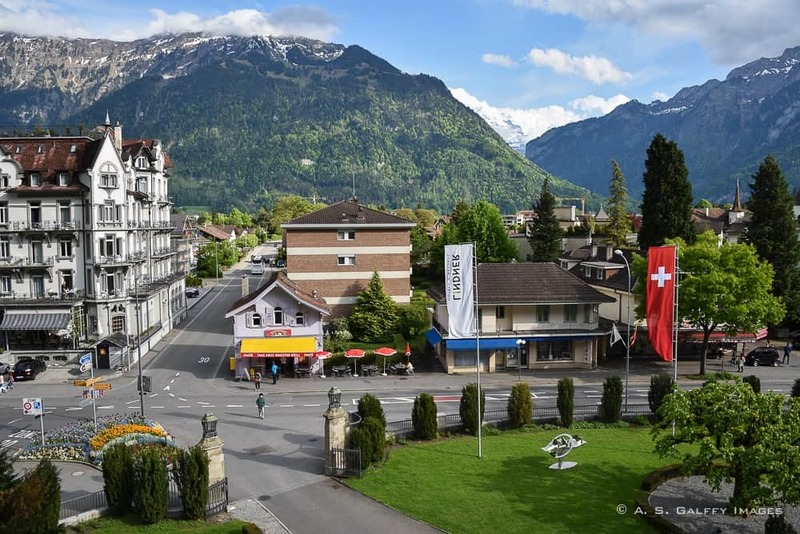 The charming resort of Interlaken won me over from the start. It lies in what is perhaps the most sublime alpine scenery in the world: the Lauterbrunnenthal Valley, encircled by mountains and flanked by two lakes. But little did I expect that I’d remember Interlaken for one the best hotel experiences I ever had. My husband and I were privileged to be the guests of Lindner Grand Beau Rivage Hotel for two nights this spring. 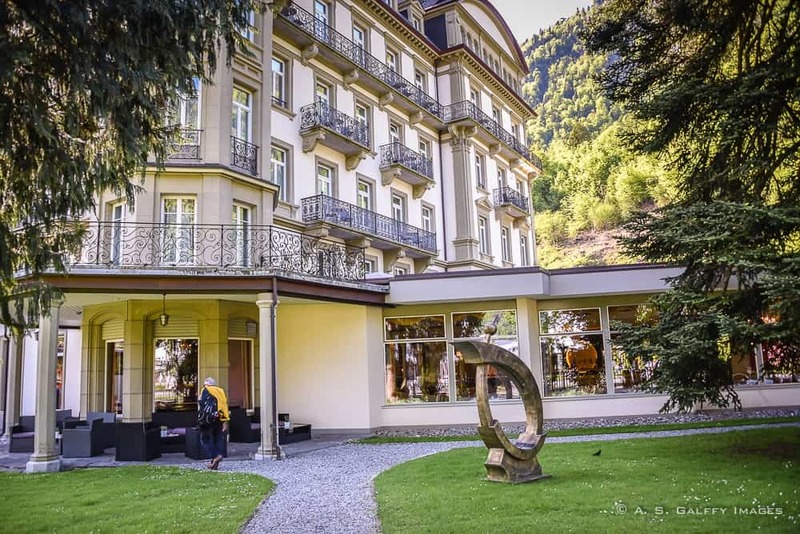 Located in the heart of Interlaken, just minutes from the Interlaken Ost train station, Lindner Hotel enjoys a serene location right on the banks of the Aare River, between lakes Thun and Brienz. The grandiose structure dominates the area around, offering spectacular views of the river or the mountains from every room. Although it’s only a 5-7 minute walk from the train station, the hotel provides a free shuttle for its guests. 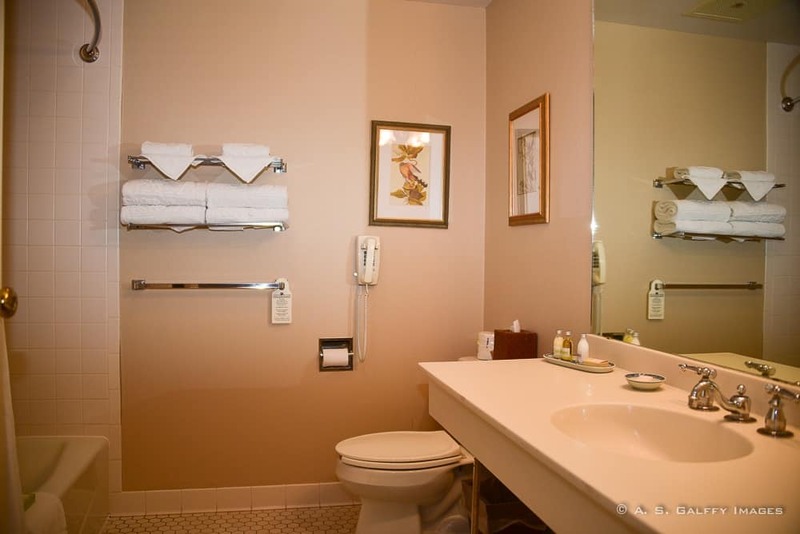 Lindner may not be your typical luxury hotel, but it definitely has class and elegance. 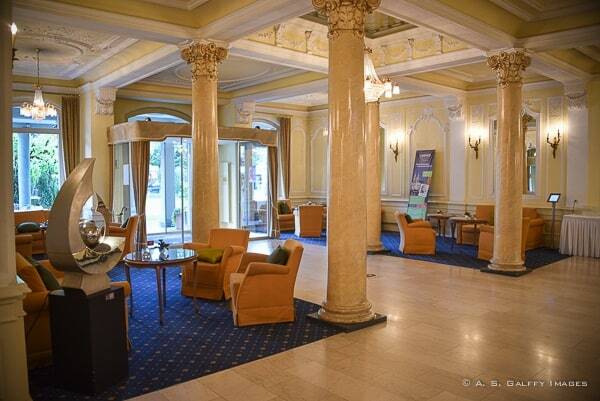 Its nice old-fashioned ambiance makes you feel welcome as soon as you arrive. 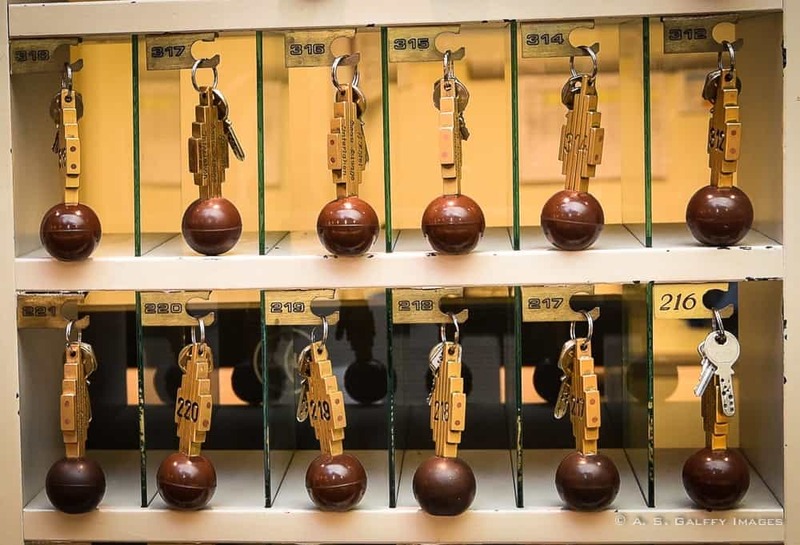 From the valet who greets you at the door, the fresh mint and lemon water that awaits you in the lobby, the old-school room key on a heavy fob, to the Cigar Lounge, this place is reminiscent of bygone era when guest were pampered at their hotel. 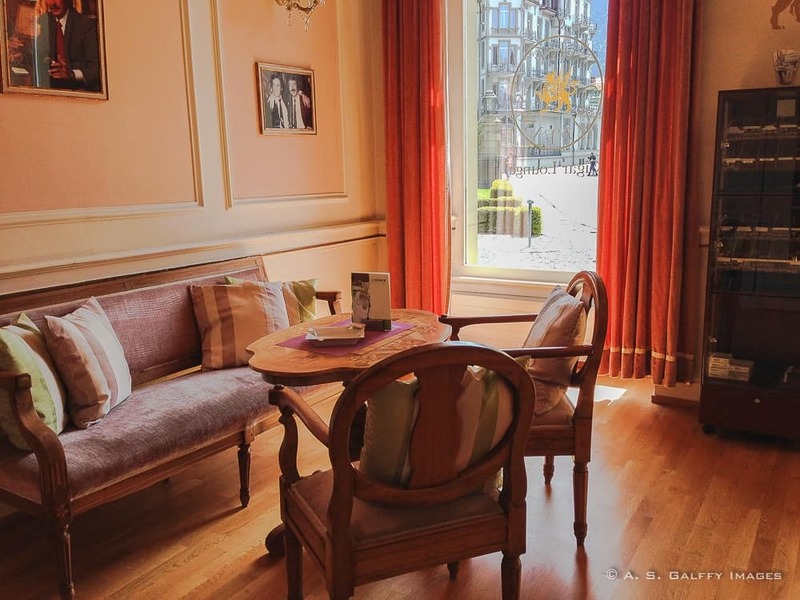 Our Junior Suite was very large and bright, with high ceilings and lots of windows. 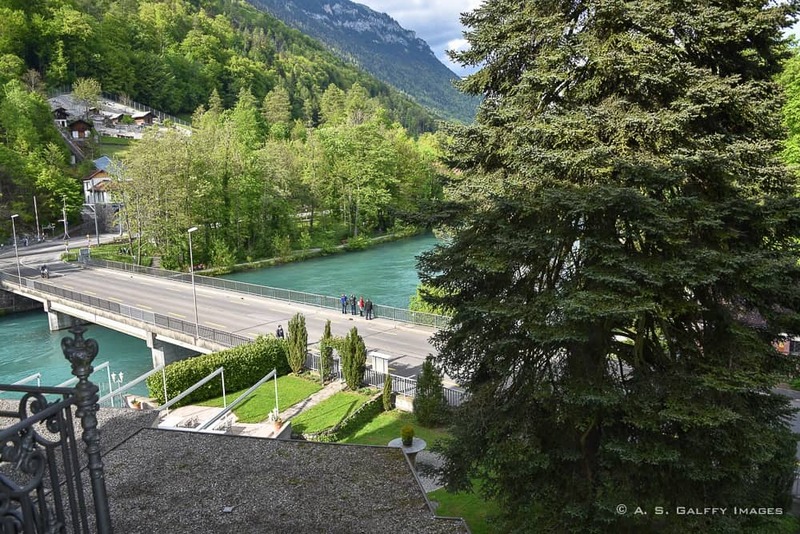 The room offered a great view of the Jungfrau on one side and a view of the Aarn river on the other side. 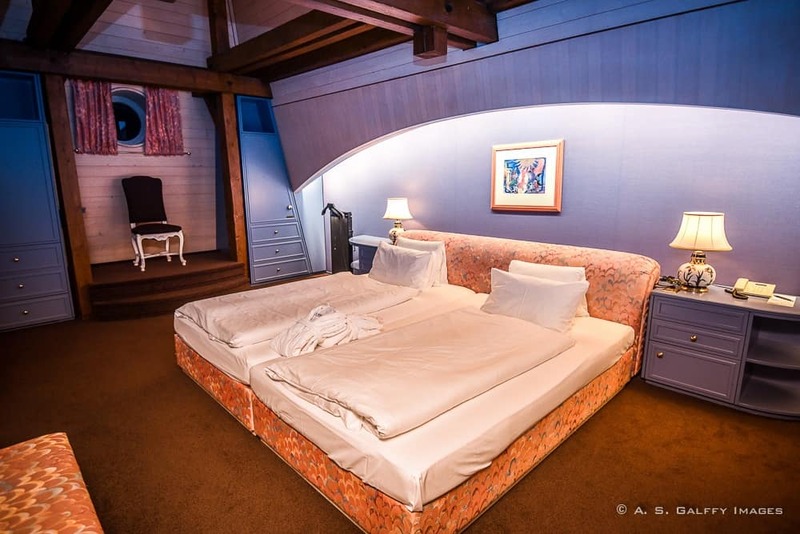 The bed was very comfortable, with high quality linen. 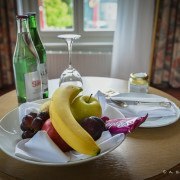 Upon arrival we found a fruit basket and mineral water in the room. We thought that was a welcome gift, but to our surprise the fruit basket was there every night. Also a very nice surprise was the maid who would knock on your door every night, around 7-8 p.m. just to give you some Swiss chocolate and ask you if there was anything you may need before bed time. We also visited the other three master suites which are located on the highest floor of the hotel. The master suites are very spacious and have vaulted ceilings and skylights. Each suite features a big bedroom with a king-size bed and a large sitting area with sofas and armchairs. 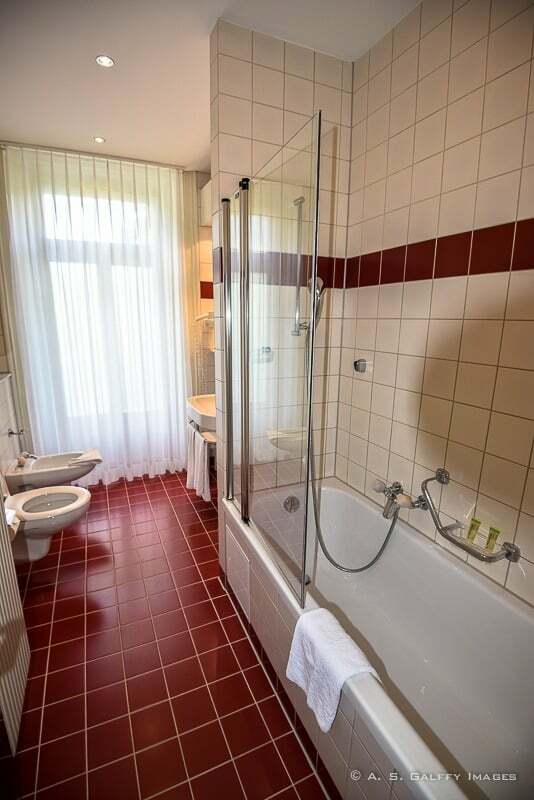 Their bathrooms have a clean, modern design and are very well appointed. 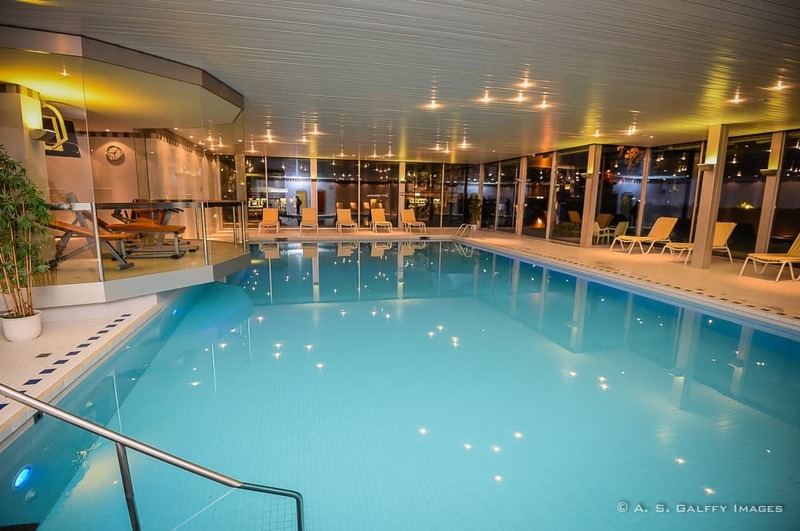 The hotel’s wellness and spa area features a large indoor swimming pool with a glass wall that overlooking the yard, a beauty center, sauna and steam bath and a gym. 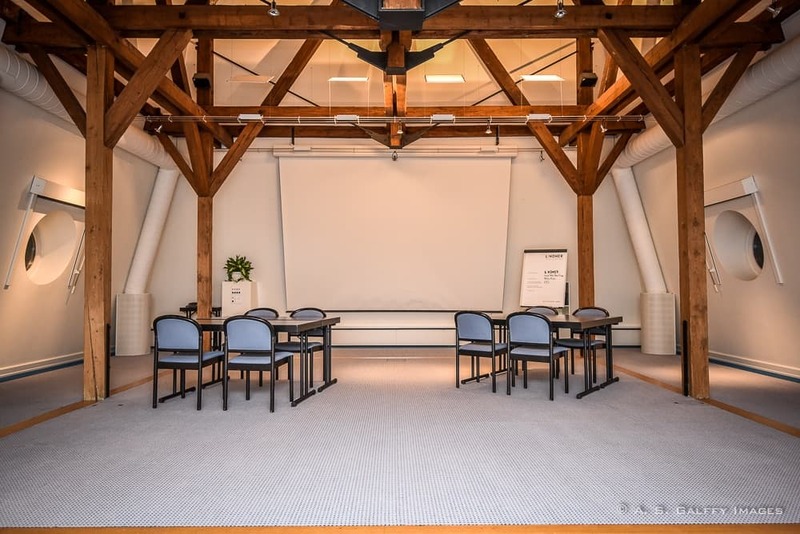 There are also several conference rooms with the most sophisticated media technology and a banquet hall that can fit up to 200 people. 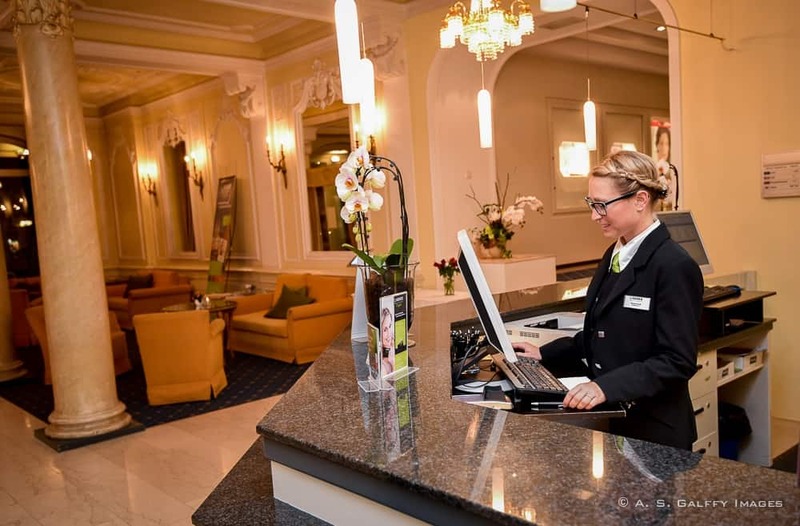 Lindner Beau Rivage Hotel has an extremely friendly and pleasant staff that will go out of their way to make you feel comfortable. We were provided with a lot of information about the area, maps, timetables, discounts, etc. The breakfast was absolutely fantastic, with a very large variety of breads, cheeses, fruits, eggs, cold cuts and other delicacies. The hotel has two restaurants serving breakfast and dinner where you’ll find good menu choices and a very good service. 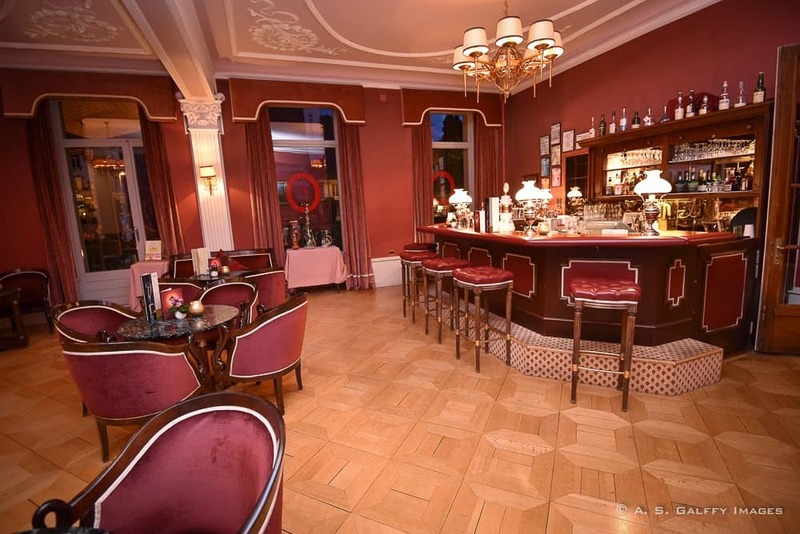 There is also a bar/lounge where you can enjoy a drink and relax. We definitely had a wonderful stay at Lidner Grand Beau Rivage and would love to stay there again next time we come to town. 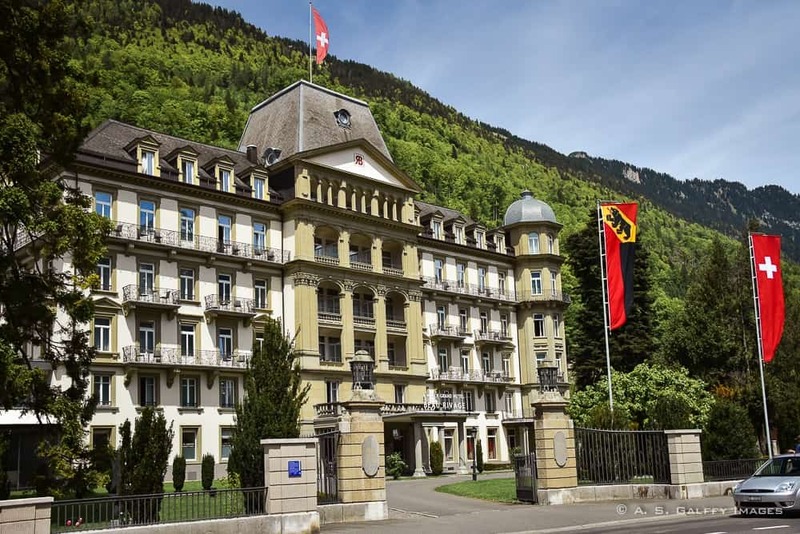 For more articles about Interlaken, please follow my blog. 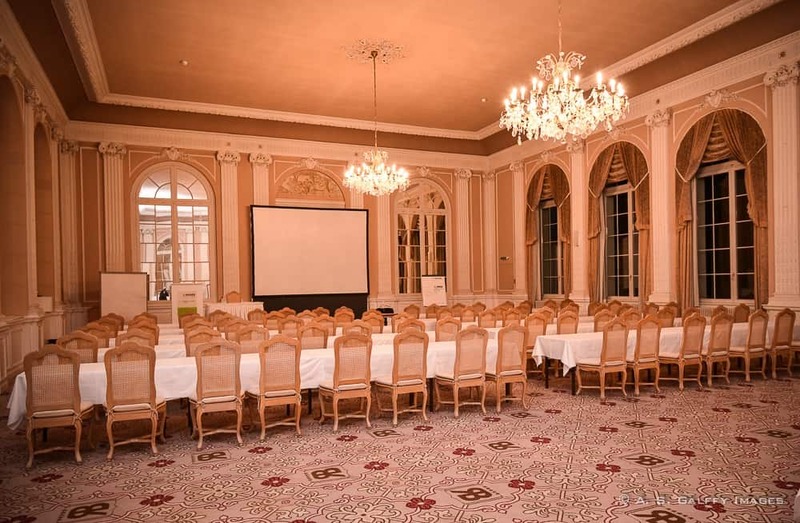 Disclosure: I was the guest of the Lidner Grand Beau Rivage Hotel. Writing about my experience reflects my personal opinion and should not be interpreted as a recommendation of the provider. The chocolate part impressed me too, Valeria. I'm an addict! What an absolute perfect setting! Fantastic! Thank you for sharing your experience with us. 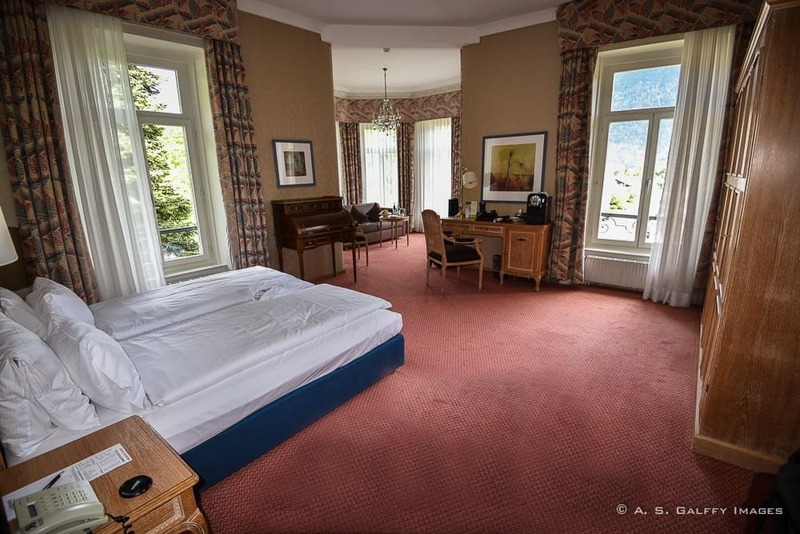 Interlaken is a stunning destination, but with a hotel that comfy I don't know how much I would get outside! That's what I always said about beautiful hotels: they make you want to linger in the room. It really is a charming hotel,with amazing views too! Oh my! What a gorgeous hotel. I would love to stay in a place like this (it would be a dream come true). I hope you will, Ruth. Your junior suite looks so spacious and I love the view towards the mountains - I'm biased being married to a Swiss guy! I didn't know that , Suze. That means you get to travel to this beautiful country a lot. I envy you. What a wonderful sounding hotel in a fabulous location - that spa looks a treat, but honestly the views - glorious!! Lovely hotel inside and out. Thanks for sharing the description and beautiful pictures. Will add to my resource file for the next time I'm in the area. Thank you, Karen. Hope you'll make it to Interlake. It's a great place to visit. I was lucky to visit there in May when the weather was perfect and the crowds tolerable. Fabulous place and outstanding hospitality! This is a place I would seriously love to visit one day -those views are unbeatable!